While taking these photos I was flat-out on my belly on the concrete outside the garage. My own creeping/following the caterpillar gave me a chance to try out two of my photography accessories: 1. extension tubes in combination with 2. a 50mm f/1.4 lens. Should I do this again (a caterpillar shoot), I need to train the caterpillar to stay still! 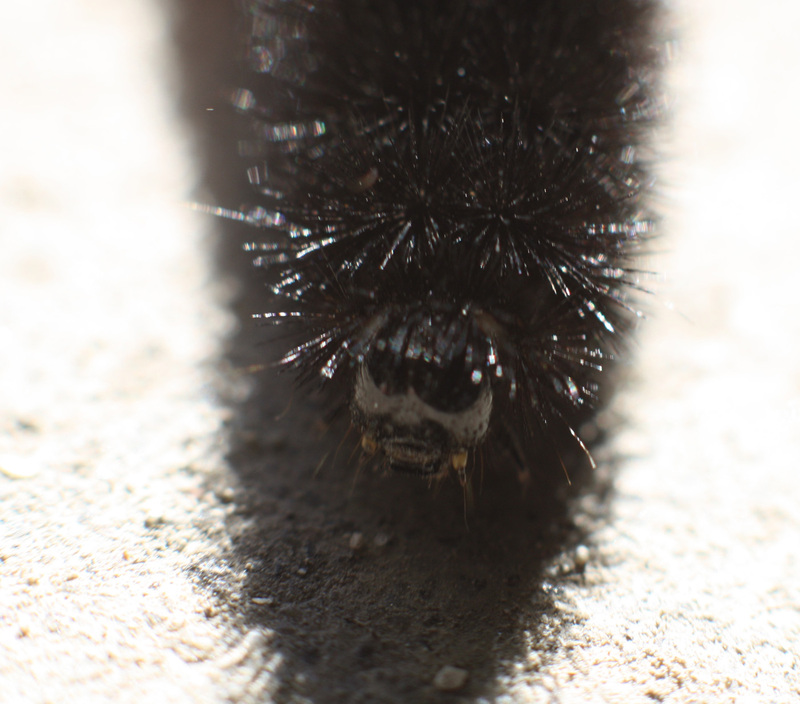 Imagine me flat out on the concrete with the camera lens almost touching the concrete and just a few inches away from the caterpillar, AND having my toes being my rudder/steering wheel changing my direction each time the caterpillar changed its! I’m certainly glad no one pulled into the driveway catching me involved in such a silly activity! This entry was posted on October 31, 2010 at 5:27 pm and is filed under Photography. You can follow any responses to this entry through the RSS 2.0 feed. You can skip to the end and leave a response. Pinging is currently not allowed. The side view isn’t quite so creepy. 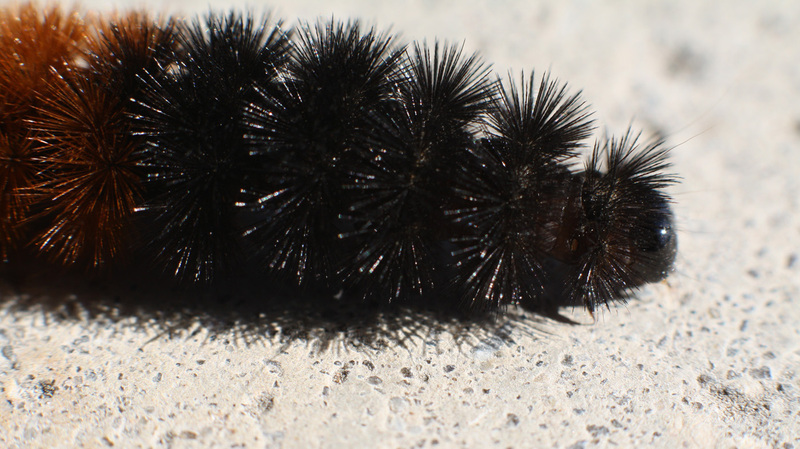 BUT think about “creepy.” The caterpillar was creeping along the cement. And so were you! The side view reminds me of the fuzzy scarves Irene knits. She wore a pretty, reddish brown one this morning with her dark orange sweater. I think someone should have gotten picture of you and the caterpiller. That would be funny.